Be one of the few and the proud. Help us reach our goal. 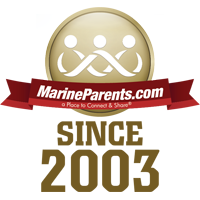 We are pleased to announce that Saturday, January 21, 2017, marked the 14th anniversary of the founding of MarineParents.com, Inc. In the 14 years since Founder & Executive Director Tracy Della Vecchia began MarineParents.com in her home, much has changed with the organization. One thing that hasn't changed, however, is our dedication and commitment to supporting Marine family members through all stages of their Marine's career in the Corps and providing "a Place to Connect & Share"® for recruit and Marine family members. 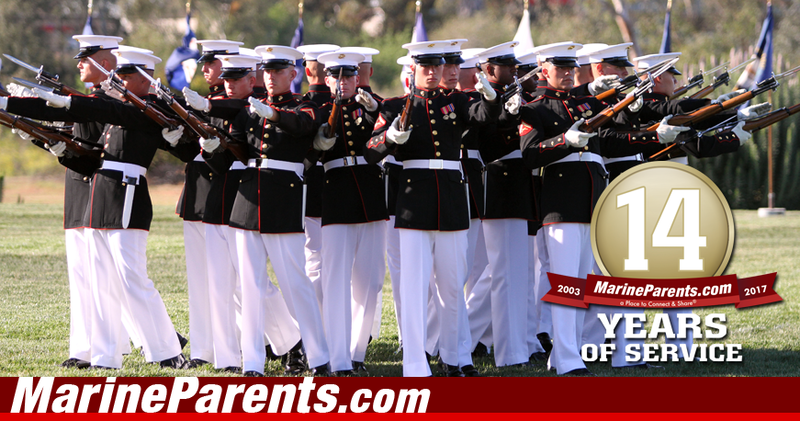 To help us continue our mission, we are asking you, the MarineParents family, for a donation of only $14 today. There are over 100,000 people in the MarineParents.com online community; we just need 1,000 of you to donate $14 today to help us reach our goal of $14,000. Be one of the few and the proud, and donate $14 in honor of 14 years of service. Click here to donate now. In the last 12 months we have informed over 19,000 recruit family members with our boot camp and Marine Corps informational publications, provided a Place to Connect & Share® for over 52,000 members in our Official MarineParents.com Facebook Groups, connected with wounded and recovering warriors in Balboa and Bethesda over dinner 5,800 times, provided financial assistance for the funeral and burial of a Marine, educated over 53,000 Marine family members through our monthly newsletters, and provided resources and information for every stage of the Corps on our websites to thousands of new visitors each month. This is truly remarkable and we would like to thank the Marine Parents volunteers who have dedicated their time and effort to ensure the success of our outreach programs and services. Without their tireless work, these services wouldn't be nearly as effective or successful as they've become. We would also like to take this opportunity to thank you, the Marine Parents family, for your unwavering support since our founding. We know that with your support, we can reach our goal of $14,000. Click here to donate now. Thank you; we are excited to see what 2017 has in store.